Joachim, Mitchell and Michael Silver. XXL-XS: New Directions in Ecological Design, ACTAR. Fessel, Philip D. Plowright (eds. ), CRITPraX Series, Moncaster Press. Anker, Peder, Harpman, Louise, and Mitchell Joachim. Global Design: Elsewhere Envisioned, Prestel/ Random House. Tandon, Nina and Mitchell Joachim. Super Cells: Building with Biology, TED Books. Terranova and Meredith Tromble (eds. ), Routledge, pp. 177-187. Joachim, Mitchell. “Ten archetypes of nature in design,” Technoetic Arts Journal, Intellect, Vol. 14 Issue 1-2, pp. 127-130. (Architectural Design), Wiley, July/Aug. No. 236, pp. 68-73, 135. Architecture and Construction, Dirk E. Hebel, Marta H. Wisniewska, Felix Heisel (eds. ), Birkhäuser, pp. 20-25, 164-165. Transforming Urban Systems, Steffen Lehmann (ed), Routledge, pp. 151-172. James Léger (ed. 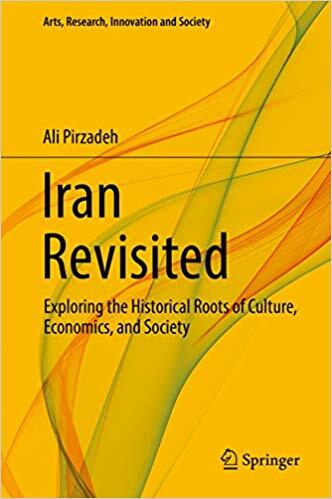 ), Manchester University Press, pp. 160-162. Research, Innovation and Society, Gerald Bast, Elias G. Carayannis, David F.J. Campbell (eds. ), Springer, pp. 137-154. Joachim, Mitchell, "Promised Jet Packs," David Rowan (ed. ), Wired, UK. p.112. Joachim, Mitchell. “What if we could rebuild New York City?” Stephen Dowling (ed.) BBC FUTURE Series. Hubert, Christian and Mitchell Joachim. “Futurists Propose Walking City of Configurable Housing Units,” Metropolis, June. Rachel Armstrong, Simone Ferracina (eds. ), ACADIA Riverside Architectural Press, pp. 66-71. Territory,” Cities for Smart Environmental and Energy Futures: Impacts on Architecture and Technology, Stamatina Th. Rassia, Panos M. Pardalos (eds. ), Springer, pp 23-53. NYC, Land Art Generator Initiative, Caroline Klein, LAGI (eds. ), Prestel, pp. 29-30, 42-45. Joachim, Mitchell. “Extraterritorial Floating House,” GOOD, Issue 030, Fall, pp. 60-61.
of the City, Christopher Beardsley, Daniel McPhee (eds. ), The Forum for Urban Design/ Village Print, pp. 52-53. Mojdeh Baratloo (ed. ), Columbia University, pp. 117-124. Science, Meridian Press, p. 71. Joachim, Mitchell. “Turning Waste into Building Blocks of the Future City,” Stephen Dowling (ed.) BBC FUTURE Series. Thomas Schroepfer (ed. ), Birkhäuser, pp. 174-184. Beyond: Rethinking Cities for the Future, Tigran Haas (ed. ), Rizzoli, pp. 240-245. Klein, Stefanie Lieb (ed. ), DAAB, pp. 242-249. Joachim, Mitchell. “Urbaneering,” The WIRED World in 2013, David Baker (ed. ), Wired UK Special Edition, Nov. pp. 89-90. Joachim, Mitchell. "The Art of Cities," City Vision, Francesco Lipari, Federico Giacomarra (ed. ), issue #7, autumn/winter, pp. Territory,” There's a Future: Visions for a Better World, Francisco González (ed. ), BBVA Publication, pp. 249-275. Joachim, Mitchell. “Prescience,” Conditions, Nov. Issue #9, pp. 62-67. Joachim, Mitchell. “The Urbaneers,” Design Mind, Bruno Giussani (ed. ), Frog, pp. 16-17. Joachim, Mitchell and Neri Oxman. “PeristalCity,” Evolo Skyscrapers, Carlo Aiello (ed.) eVolo, pp. 622-625. 29, Harvard University GSD, Lars Muller Publishers. Science + Culture, Adam Bly (ed. ), Harper Perennial, pp. 329-343. Joachim, Mitchell. 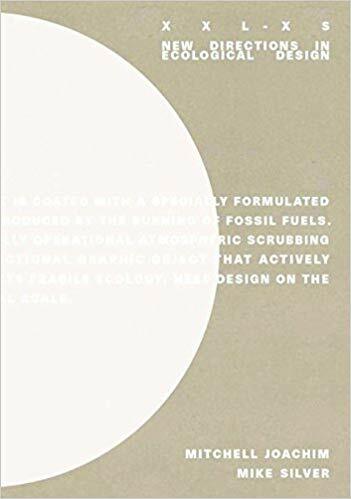 “Urbaneering Brooklyn, NY 2110: The Sci-Fi based Solution to Climate Change,” Topos, p. 88-92, Vol. 73. Kallipolliti (ed. ), Wiley, Vol. 80, Issue 6, pp. 122-129, Nov/Dec. Joachim, Mitchell. “Terreform ONE,” Future of the Future, Jaroslav Andel (ed.) Center for Contemporary Art, DOX, Prague, CZ. Conversation, Gavin Browning (ed. ), GSAPP Books. Joachim, Mitchell. “Agora: Dreams and Visions,” l’Arca, pp. 4- 11, N° 246, April. and L. Feireiss (ed. ), Gestalten, Berlin. Joachim, Mitchell and Melanie Fessel. “Profusion of Invention,” Bauwelt, May 9. Bokov (ed. ), City of Somerville, MA. Enabling Urban Mobility,” Convergence, Society of Automotive Engineers (SAE). Game Set and Match II, Kas Oosterhuis and Lukas Feireiss (ed. ), Episode publishers. Alex Duval (eds. ), NY: Princeton Architectural Press. Mann, Danielle. “New American Success Stories,” Car and Driver Magazine, Vol. 60, No. 4, p. 60. Should Know, Rockport Publishers, p. 63. Saraiva, Céline and Philippe Trétiack. “Green Brain: A Smart Park for a New City,” Beaux Arts, n°356 p. 47. Frameworks and Tools, Routledge, pp. 102-105. Salazar, Christian. "Brooklyn Tech Triangle is center of booming New York industry," AM New York, Nov. 17, pp. 4-5. Sabir, Beste. “Terreform ONE, Mitchell Joachim,” XXI Mimarlık Tasarım, April, pp. 6-7. Lechner, Marie. “Micro Macro, world under the microscope,” Libération, March 27, pp 22-23. Claude, Carine. “Festivals VIA-EXIT 2014, release the pixel!,” Poptronics, March 27. Bourbon Parme, Aude de. “Micro Macro, Exhibition VIA & EXIT,” Art Actuel, March-April. Post, Rachael. “Are tiny houses, micro-apartments and future urban homes,” The Guardian, Aug 25. Nield, David. “Sustainable cities of the future,” MSN News, Microsoft, Nov.
O'Brien, Sara Ashley. “The tech behind smart cities,” CNN Money, Nov. 11th. Lasky, Julie. The Beauty of Bacteria, The New York Times, pp. D1, D7, Thur. Jan. 17. Riley, Ronnette and Karen Fairbanks. 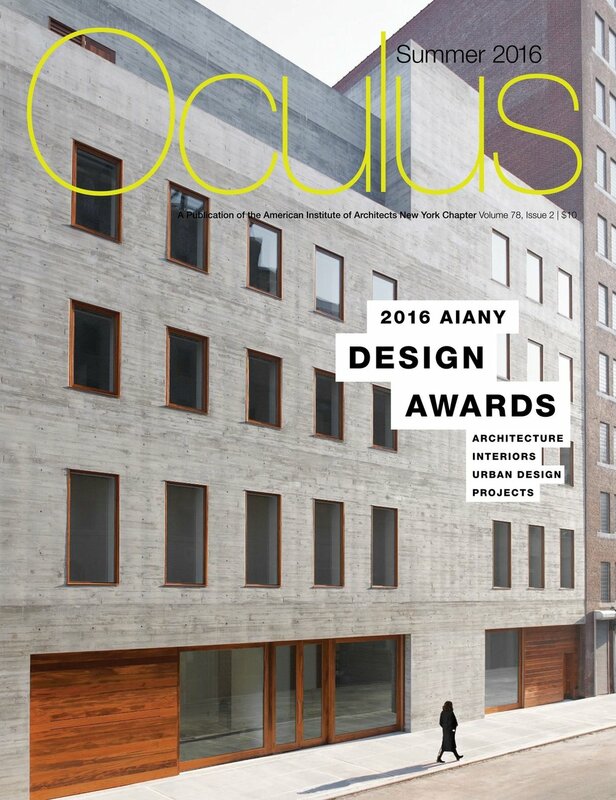 Terreform ONE, 2013 AIANY Design Awards, Oculus, Summer Vol. 75, Issue #2, p. 46. Stelling, Tamar. “Made by Bacteria,” NRC Next, Oct. 1, DAG p1. Rosenberg, Eli. “Think tank proposes creating wetlands with scrapped ships,” The Brooklyn Paper, Mar. 18. Reyes, Sandra. “Mitchell Joachim,” Código Magazine, Feb.-Mar. #73, pp. 78-81. Bachelier, Murielle. “Green Touch; Une maison vivante,” A Nous Paris, No. 601, April, cover, p.9. Stanzl, Eva. “Dein Zuhause als Organismus,” Wiener Zeitung, Vienna, No. 15, Feb 26, cover, pp. 11-12. Sasso, Federica, Valentina Redaelli. “L’unione faillavoro,” E il Mensile, April. Gahren, Isabel, “Future, Here We Come! Towards Eutopia!” Jpeople, No. 17. pp. 6-13. Myers, William (ed.). Bio Design: Nature + Science + Creativity, Thames & Hudson, The Museum of Modern Art, pp. 10, 58-61. Bergman, David. Sustainable Design: A Critical Guide, Princeton Architectural Press, p 135. Amoroso, Nadia. Digital Landscape Architecture Now, Thames & Hudson. pp. 17, 242-247. Budds, Diana. “The Now 99, The Future of Housing,” Dwell, May, p.102, 120. Kusisto Laura. “Green Center to Cultivate Manufacturers,” The Wall Street Journal. May 17. Caroline, Larroche, “Fab Tree Hab, M. Joachim Terreform ONE,” Architecture, Editions Palette, pp.80-81. Görtz, Clara. INNOVATIONSMANAGER (Innovations Management), Dec., DE. pp. 6-7. Ferracina, Simone. Material Shifts, Terreform ONE, Organs Everywhere, Oct., pp. 60-61. Reyes, Sandra. “Terreform ONE, M. Joachim, Urbaneering Brooklyn,” Código, Aug.-Sep.#70, pp. 76-78. O'Callaghan, Tiffany. "Grow your own home with ancient and modern tech,” CultureLab, New Scientist, Sept. 28. Steadman, Ian. "The Cities of the Future Will Be Grown, Not Built." Wired UK, Sept. 24. Broekman, Ralf F. and Olaf Winkler, "New Forms of Knowledge," Build Das Architekten, Mar. pp. 34-41. Rajagopal, Avinash. “Collaborations Welcome,” Metropolis, pp. 62-70. Lipinski, Jed. “On Flatbush Avenue, Seven Stories Chock-Full of Ideas,” The New York Times, Jan. 11. Quinn, Bradley. "Super Cilia Skin," M. Joachim, H. Raffle, J. Tichenor, Design Futures, Merrell Publishers, pp. 110-11. Magrou, Rafaël. “Terreform,” L’Architecture d’Aujourd’hui, ‘A’A’ Sustainable Prospects, pp. 80-83. Feireiss, Lukas and Robert Klanten (ed. ), Utopia Forever: Visions of Architecture and Urbanism, Gestalten, Berlin, pp.166-69. Rossetti, Massimo. "Progetti non convenzionali," Costruire, Milano, IT, pp. 49-56. Feb.
“Zumtobel Award: Terreform ONE, Mitchell Joachim, Maria Aiolova,” Topos, p.8, Vol. 72. Bradley, John. 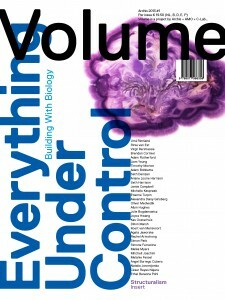 “Future of The Environment: Urban Remodeler,” Popular Science, pp. cover, 7, 46-47, July. McKeough, Tim. “Road Map To Tomorrow,” Surface Magazine, #83, pp. 40-45, July/Aug. Kuntz ,Melissa. “29 Chains to the Moon,” Art in America, Mar. Hume, Christopher. “A meat home on the renewable range,” Toronto Star, Jan. 23. Breuer, Hubertus. “Architektur und Natur,” Sueddeutsche Zeitung, Sept. 15. Meyer, Friedeike “Zumtobel Group Award,” Bauwelt, Vol. 37.10, Oct. pp. 16-17. Korsawe, Caroline. “Viewing the present through the future,” The Prague Post, Aug. 25. Aiello, Carlo. “Cities of Tomorrow: Terreform ONE,” eVolo, Vol. 03, Fall/Winter. Leite, Carlos. “Cidades 2010 + 25,” aU Arquitetura & Urbanismo, ANO 25, N. 197 Aug.
Smith, Heather. “Squeal Estate,” Harper's Magazine, pp. cover, 21-23, May. Smith, Heather. “Why No One Wants to Eat the Meat House” Meatpaper, Vol. 10, pp. 31-33. Schröpfer, Thomas. “MATscape,” Material Design: Informing Architecture by Materiality, Birkhauser Verlag AG, pp.180. Press, pp. 18, 20, plate 2. Mickens, Jasmine. “Start-up aims to construct with waste” Washington Square News, Feb 8. Rafson, Sarah. “Rethinking the Architect,” The Varsity Magazine: The Profile Issue, University of Toronto. Terreform ONE, Portfolio, DAMDI Architectural Publishing, Seoul, KR, Vol. 5, pp. 896-911. 21st Century, The MIT Press. Montenegro, Maywa. “Seed Salon: Thomas Lovejoy/ Mitchell Joachim,” Seed, pp. 39-44, issue #22, June. “The RS 100: Agents of Change,” Rolling Stone, p.63, April 2. Block, Mary. "Grave New World," Heeb, Issue #22. Weidinger, Jürgen. "Landschaftsarchitektur als Marke," Redaktion Garten + Landschaft, pp. 10-13, Sept.
Lepeska, David. "Sustainable cities are the solution," Guardian UK, Sunday 13 Sept.
Rex Brown, Stephen. "Avant-Garde Agriculture, Architecture Meet in B’klyn," Brooklyn Daily Eagle, Aug. 19. Leach, Neil (Ed.). 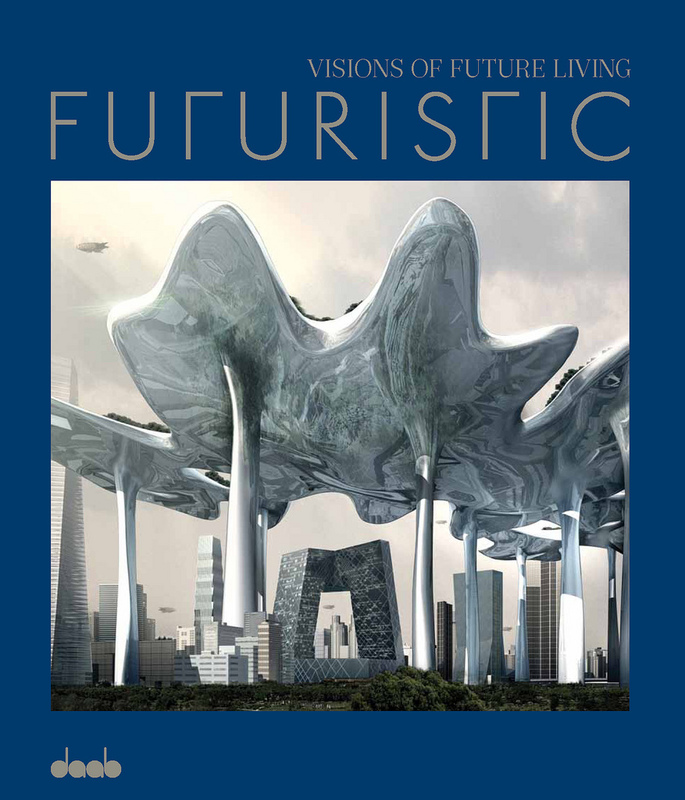 "PERISTALCITY," Digital Cities AD: Architectural Design, Wiley, Sept.
Ricchi, Daria. “100% Sustainability: Interview with Mitchell Joachim,” AND journal, pp.84-87, no. 14, April. Lepeska, David. "Plotting Our Urban Future", Open, pp. cover, 18-22, May 8th. Serranova, Mariana. “Mitchell Joachim: What is Ecotransology,” pp.59-62, ASB Journal, 1-2/09 VI, CZ. Avery, Dan. “Green Acre: A Hub of Eco-Friendly Entrepreneurs Grows in Brooklyn,” New York Post, p.41, April 13th. Vanderbilt, Tom. “The 2008 Smart List: Mitchell Joachim, Redesign Cities from Scratch,” Wired, pp. 178-9, 16.10, Oct.
Galindo, Michelle (ed.). 1000X Architecture of the Americas, Verlagshaus Braun, p.429. Markonish, Denise (ed.). Badlands: New Horizons in Landscape, MASS MoCA/ MIT Press, pp. 114-116, 220. Zschocke, Geraldine. “Super Cilia Skin,” Inform, p. 6, No. 9, Freiburg, DE. Martínez, Ángeles. “Sustainable Designs of Mitchell Joachim,” BG Magazine, pp. 78-9, No. 036, EC. Aguirre, Iñaki. “Bioviviendas De Última Generación,” Arquitectura y Diseño, No. 95. Mingo Pinacho, Gerardo. “City of the Future 2106,” Future Arquitecturas, p. 146-8, No. 10, ES. Ricchi, Daria. “Cities from Scratch with Mitchell Joachim,” Area, pp. 160-163, No. 99, IT. Vidal, Dorleta. “Human-Powered River Gym,” Le Grand Mag, p. 170, No. 5, Autumn/Winter. Moore, Kenneth J. “Ecoarchitecture,” Chemical & Engineering News, p. 56, Sept.
Guillot, Agnès and Jean-Arcady Meyer, La bionique: Quand la science imite la nature, p. 23, Dunod, Paris. Byles, Jeff. “Taking Back the Streets,” New York Times, p. CY11, Sun. Apr. 6. Kip, Dost and Yerin Gelecegi. “Evin kendisi ekosistem,” YER Magazine, pp. 72-73, No. 2, TR. Vickers, Dave. “Pectoral Pedalo: River Gym,” Modern Design, p. 66, No. 15, Diseño Earle. Vickers, Dave. “Home Grown: Fab Tree Hab,” Modern Design, p. 63, No. 12, Diseño Earle. Senna, Bernardo. Sonho-Dreams, Viana & Mosley Editora. Gil,Marta. “Architecture in a Tree,” Arquitectura y Diseño, pp. 169-74. No. 88, Apr. Gleeson, Jane. “Going Green - Tree houses are branching out,” X-ology, p. 19, Winter. Aiello, Carlo. “PeristalCity,” eVolo: Skyscraper for the XXI Cen., eVolo Press, pp. 14-15. Nickmatul, Huang. “Eco Light Home...Naturally,” Home Concepts, pp. 28-32, Mar. Stevens, Chris. “Ideal Home Show: Why tomorrow never came,” Telegraph UK, Mar. 8. Den Hartog, Harry. “Getemd wild wonen,” de Architect, NL, p. 67, No. 6 Jun. Belogolovsky, Vladimir. “Terreform,” Tatlin News, RU, pp. 70-75, No. 4 (40) 48. Michelakou, Ioanna. “Fab Tree Hab,” Marie Claire Deco, GR, p. 101, Nov.
Cao, Sissia. "Return to Intelligence - MIT City Car,” Vision, CN, pp. 188-93, No.08, Aug.
Bromberg, Craig. “Gang of Green: Terreform,” DigitALL, Samsung, p. 10/48 Fall. Groen, Tim. Relax - Interiors for Human Wellness, p. 250-3, Birkhäuser. Lu, Cathy. “Green House,” National Geographic Kids, p. 22, June/ July. Stern, Linda. “Terreform: Building Houses Out of Living Trees,” Newsweek, p. E2, May 28. Goede, Wolfgang C. “Bio-Bau: Aus Baumstämmen ein Haus flechten,” P.M. p. 14, Jun. Choi, Lily. “PeristalCity,” Architecture Competition Annual VIII, ARCHIWORLD Co.,Ltd, pp. 120-123. Santilli, Luciano. “Alberi a forma di casa,” Panorama, p. 254, No. 22, May 31. Kasuga, Yoshiko. “Human Nest,” SPA-DE Space & Design, International Review, Vol. 7, p. 46-48. Roberts, Tristan. “Architects Plan to Grow House from Plants,” Environmental Building News, Vol. 16, No. 4, Apr. Portwood, Jerry. “LES from Scratch,” New York Press, Vol. 20, No.16, pp. 14-16, Apr. 18-24. Thielicke, Robert. “Gruen & Gut: Baumhaus,” Focus, p. 110, No. 18, Apr. 30. Bernhard, Brendan. “Global Warming Burnout,” The New York Sun, Apr. 25. Zacks, Stephen. “180 Varick Street,” Metropolis, Apr. 18. Di Mario, Sara Lisa. “Vivere Eco,” Home Wellness, p. 153-55, No. 01 Apr.-May. De Bel, Irene. “Levend Boomhuis,” Cobouw NL, p. 1 & 9, No. 58. Fri., Mar. 23. Lackner, Chris. “Grow your own home: Fab Tree Hab,” Ottawa Citizen, p. A13, Th., Mar. 8. Lee, Hyun-Kyeong. “Mitchell Joachim” Science Donga, Seoul Korea, cover image, p. 16, Issue #03, Mar. Nestor, James. “Branching Out,” Dwell, Vol. 7 No. 3, pp. 96-98, Feb.
Kellogg, Craig. “Tree/House,” Interior Design, p. 48, Vol. 78, issue #1, Jan. 1. Speare, Mary. “Beyond Green Design,” MIT Spectrum, Spring, Vol. XVIII No. IX p. 10. Blask, Sara. “Home Grown,” Iceland Review / Atlantica, p. 12, No. 1, Jan.-Feb.
Pogrebin, Robin. “Visions of Manhattan: For the City, 100-Year Makeovers,” The New York Times, p. A9, Nov. 4. Ritter, Axel. Smart Materials: Types, Products, Architecture, pp. 10-11, 142, 160, Birkhäuser. Marogna, Di Gege. “House and Garden,” Casamica, pp. 67-8, Dec.
Chiarella, Tom. “The Future of Driving,” Esquire, pp. 180, 244, Dec.
Marques, Nelson. “O Carro do Futuro,” Expresso Unica, pp. 116-7, No. 1777, Nov. 18. Marques, Nelson. “Uma Arvore Como Cas,” Expresso Unica, pp. 134-5, No. 1775, Nov. 4. Mone, Gregory. “Grow Your Second Home,” Popular Science, pp. 38-9, Nov.
Chiarella, Tom. “The Future of Driving,” Esquire, p. 180, 244, Dec.
Mariaccia, Stéphanie. “L’ Arbre-Maison,” Science et Vie Junior, No. 205, p. 12, Oct.
Jones, Ronald. “The Art Market,” Frieze, p. 39, Sept. Issue 101. Arnaboldi, Mario Antonio. “Agora / Dreams and Visions eVolo Skyscraper 06 Competition,” L'Arca, No. 215, pp. 48-49, June. City Car: Reinventing Personal Urban Transportation, FRAMES, MIT Media Laboratory, July/August. Dayal, Geeta. “A Sheep at the Wheel,” Intersection, Issue 03, p. 78-79. Nedoluzhko, Artem. “People Grow Houses on the Trees,” Pravda.RU, Aug. 14. Staedter, Tracy. “Houses Woven Out of Trees Proposed,” Discovery Channel, Jan. 20. Klinkenberg, Arjen. “Fab Tree Hab,” Holland Herald, KLM Media, NL., May. Wall, Meredith. “Treehouse Turns Into House of Trees,” Specifier, Issue 68. Oo, Pauline. “The Future of Affordable Housing,” University of Minnesota News, Feb. 10.